Instead of posting individual reviews for these five YA books, I thought I would group them together in one post to highlight the theme that connects them. These are all what I am deeming “offbeat mysteries,” YA books that feature a central mystery, but which are not detective or puzzle stories. In these books, the main characters, teens who possess no great deductive skills, solve unusual mysteries that are presented in ways that are variously witty, strange, and unexpected. But, for those of you who are not mystery aficionados, fear not—the books also feature compelling coming-of-age stories. Every one of them is a great read for both mystery fans and skeptics alike: they offer something original, something intriguing, and, above all, something sure to entertain. In John Green’s Paper Towns, Quentin Jacobsen is leading a safe, predictable, and predictably boring life. Unpopular at school, Quentin, or Q, spends his time with two equally uncool friends, just counting down the days to graduation. He yearns for his neighbor, the fearless and exciting Margo Roth Spiegelman, with whom he discovered a dead body when the two were just children. But Margo is in the popular crowd, and she lives a life Quentin could only dream of: something of a myth in their Orlando, Florida suburb, Margo is said to have run off and joined the circus for a few days, and has broken into most of Orlando’s world famous attractions after hours. One night, everything changes, and Margo finally reaches out to Quentin. Could this be the start of, well if not a romance then at least a lasting friendship? After their late night adventure around town, Quentin can’t wait to see what happens with Margo at school. The only problem is, Margo isn’t at school the next day. And she isn’t there the day after that. The lone clue she seems to have left behind is a poster in her window, the window that is directly across from Quentin’s. Certain that it is a clue left specifically for him, Quentin begins a journey that takes him through Leaves of Grass, abandoned subdivisions, and some pretty harrowing situations. Along the way, he learns, finally, how to live like Margo—with courage and a sense of possibility. 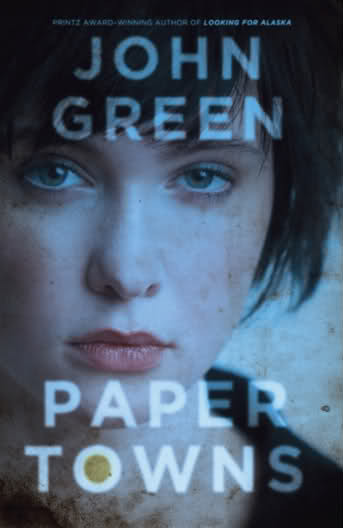 Written in typical witty Green fashion, Paper Towns is a quirky but wholly engaging romp that still manages to ask serious questions. 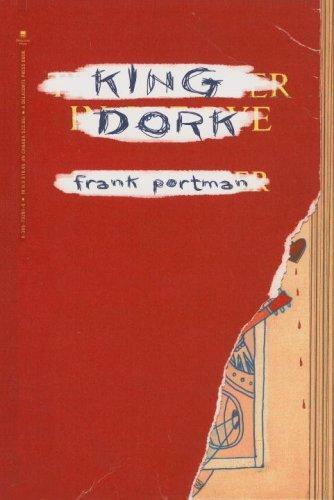 King Dork, by Frank Portman, is similar to Paper Towns in a lot of ways. For one, both feature dorky, unpopular protagonists who are a lot cooler to the reader than they are to the other kids at their respective schools. For another, their mysteries center on clues found in classic works of literature. So, basically, if you ever scoffed at LeVar Burton encouraging you to “take a look, it’s in a book,” you might want to begin drafting a letter of apology. In King Dork, the book in question is The Catcher in the Rye, and it might just hold the key to one of the central questions in Tom Henderson’s life: who was his father? He knows the basic facts, namely that his father was a detective who died in a car accident when Tom and his sister were small. But who was he beyond that? Who was he when he was 16, the same age as Tom? When Tom finds a mysterious code in his dad’s copy of the book, he immediately sets about deciphering it. As he does so, he begins to uncover much more about not only his dad’s teenage self, but also the circumstances of his death. Tom begins to wonder: Did his dad die in an accident, as he was told? Could it have been suicide? Or murder? Despite the heavy subject matter, King Dork is also very funny and clever. Tom and his alphabetical best friend Sam Hellerman form and dissolve about thirty bands in a four month period, all with amusing names like The Elephants of Style. In fact, it is Tom and Sam’s misguided attempts to be rock stars that might just be the key to solving some of the mysteries in Tom’s life once and for all. Of course, there are a lot of interesting, innovative paths that an author can take in crafting a mystery story, and these next two novels show just how much room there is for variations on the detective figure. These next two teen “detectives,” Will Halpin and Christopher Boone, are outsiders not because they aren’t jocks or because they have nerdy hobbies—they’re outsiders because they simply don’t fit in with a society that largely does not share their disabilities. 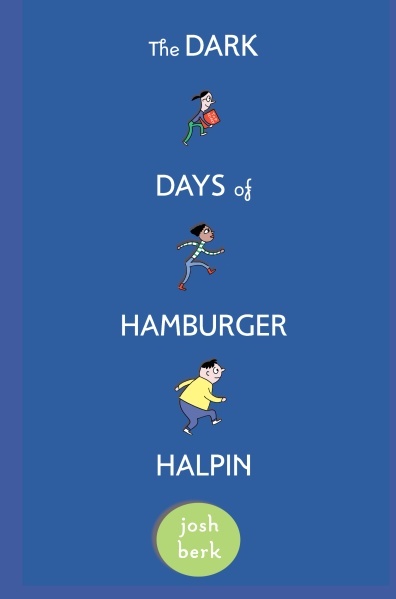 In Josh Berk’s The Dark Days of Hamburger Halpin, Will Halpin is overweight, the new kid in school, and, oh yeah, deaf. He has just transferred to a mainstream high school, and is trying to get by in a world that doesn’t understand, and isn’t sympathetic to, his disability. Will gets by on lipreading, which means that he is better than most at observing people. This proves to be crucial when one of his classmates meets a mysterious end at a coal mine on a school field trip. Will and his best friend, Devon Smiley, are convinced that the boy was murdered, and they decide to uncover the murderer. What could be a typical mystery with a clever gimmick is instead an insightful look at what it means to be deaf in a hearing world. Will is funny, smart, and resourceful, but he is also lonely and painfully aware that he will never quite be “normal.” The way in which Berk uses Will’s disability as a useful tool in solving the crime is ingenious, and it really elevates this novel to something more than just an amusing mystery. 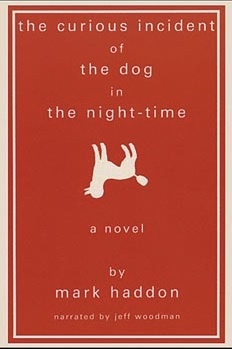 The Curious Incident of the Dog in the Night-Time, by Mark Haddon, is, in some ways, the most straightforward story on this list. That’s because its narrator, 15-year-old Christopher Boone, literally cannot tell a lie (or, to be fair, he could, but he is deeply upset by the very concept). He reports every event as it happens, and has an astonishingly detailed memory, but there is one big limitation to Christopher’s story, as he tells it: Christopher is autistic. 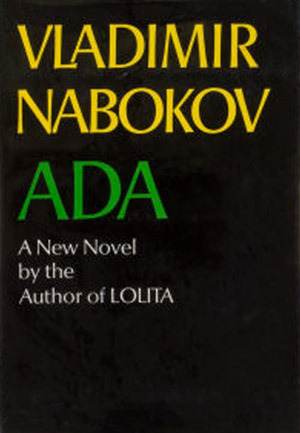 This novel is very unusual in that it is told entirely from the perspective of an autistic teenager who, though very bright, is oblivious to the motivations of those around him. Christopher’s world is very insular, his routine fixed; it is not until the day that he finds his neighbor’s dog, Wellington, with a pitchfork sticking out of him that Christopher decides he must break some of his rules and venture out into the world. He begins writing a mystery story on Wellington’s murder, intending to solve the murder himself. What he begins to uncover, however, is something that has much more personal relevance than he could have imagined. While Christopher is certainly not what one would typically call a sympathetic character, the access into his mind is fascinating and quite thorough. Haddon captures not the autistic mind but an autistic mind in a way that is thoughtful, convincing, and very memorable. 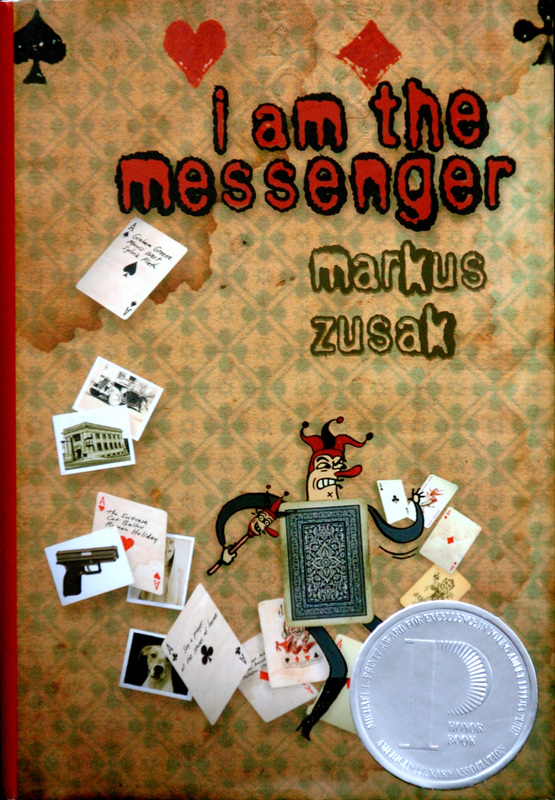 The last book on the list, I Am the Messenger, by Markus Zusak, is different from the previous four in that it does not feature a protagonist who is still in school. On the contrary, 19-year-old cab driver Ed Kennedy is about as far as one can get from that: with only a high school education, and no motivation, Ed is coasting through life. He is a disappointment to his family and an affront to his own abilities. He lives, alone, in a small apartment with only his ancient dog for company, and his greatest joy comes from playing games of cards with his best friends, one of whom he is secretly in love with. Ed meets his most defining moment yet when he foils a bank robbery; not long after, he receives a mysterious playing card in the mail, on which is written three addresses, which are where Ed will find his first few assignments. Ed becomes “the messenger,” helping those in need, at the risk of his own safety and sanity. But who is sending him these messages? And why isn’t he allowed to stop obeying them? Ed becomes obsessed with catching the sender of the series of playing cards he receives, but this sender always appears to be one step ahead of him. Who knows Ed better than he knows himself…and why has he been singled out to be the messenger? Though the mystery is ever-present, what makes this novel so lasting is Ed’s path to redemption. When he starts to care, the reader can’t help but join in. Liesel Meminger is not quite ten years old when everything in her life changes. In only a few days, her brother dies, her mother leaves her, and she is sent to live with two strangers who ask that she call them “Mama” and “Papa.” Even at such a young age, she knows that nothing will ever be the same. What she doesn’t realize, however, is how true this is not only for her, but for everyone. Her foster parents, her friends, and all of her neighbors are each facing their own struggles to survive in Nazi Germany. Liesel grows to love her foster parents, particularly her father, Hans Hubermann, who stays up with her when she cannot sleep and teaches her how to read. Liesel stole her first book, The Gravedigger’s Handbook, the day of her brother’s burial, and it is from this book that she first learns to read. Once she starts, she never wants to stop: Liesel becomes obsessed with acquiring more books, more words. Aiding her in this quest is Rudy Steiner, her best friend, and Max Vandenburg, the Jewish fist fighter whom the family hides in their basement. She also finds an unexpected ally in the mayor’s wife, a strange, sad woman who offers her access to a beautiful library full of books. But Liesel’s happiness is constantly threatened by the war, which brings with it the danger of bombings and, in the case of Max, discovery. Is it possible to make it through a war unscathed? The Book Thief is a memorable book—and not only because it is narrated by Death. It is a vivid rendering of Germany during the Holocaust, capturing both the ugliness and the beauty of the time. Indeed perhaps the most remarkable quality of the book may be how unexpectedly beautiful it is: though marked by violence, hatred, and countless tragedies, it also highlights those acts of kindness, defiance, and uncommon bravery that make the characters more than victims of their circumstances. Liesel is a winsome protagonist—you can tell even Death admires her—and her strong will and warm heart make her the perfect character around whom to base the various events in the book. She is young enough to have a childlike innocence, yet shrewd enough to gain a gradual understanding of the horrors around her. She is also spirited enough to combat the injustice she witnesses in any way she can. Though essentially powerless, she is always ready to put up a fight. The other main characters—and they are considerable—are equally well-developed, and the memory of each is quietly devastating even long after the book is over. Even those who fare well in the end endure almost unbelievable hardship, making their stories upsetting to recall. And, of course, many do not survive. Although this is a fact that Death hints at very early on, it still comes as a terrible shock, for the reader desperately wishes that it were untrue. These are characters who, through their amusing antics, heartwarming goodness, and surprising depth, endeared themselves to their reading audience. Their loss is felt not only in the narrative but on a personal level. In the end, this is precisely how The Book Thief feels: personal. 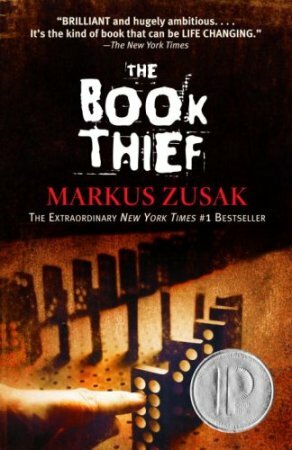 It is a novel based on the experiences of author Markus Zusak’s parents, and it reads like a story that has been told again and again, in many different versions. There is a familiarity, and thus an authenticity, that makes this book special. To look back on it is to conjure not plot points but vivid memories. The Book Thief is interesting, insightful, and even educational. More than that, however, it is a haunting look at the power of words and the ways they express our humanity.